I’ve had a few comments on comments, and even discussed mean spirited comments, and now it’s time for a basic tutorial in how NOT to comment on comments. I’m not talking about comment spam comments. I talking about a tutorial on the technique of commenting in the comments on blogs and how to get a response and help the blogger blog. I so look forward to comments on my blogs. Don’t you? Don’t you rush home and, before you even get your coat off, hit the Comments tab on your blog administration panel? Don’t you want to know who has said what about what you said, what they are asking, and if they answered your question or added to the conversation? I dont no what you think you is saying here, but I dont think you dont think to good on this here subject. I dont think this through. I wish I made this up. Before you assume it’s comment spam, it’s not. It’s legitimate. Not very intelligent, but legit. Here is what I think. This person didn’t finish the 8th grade. Or they aren’t even old enough to finish the 8th grade. They don’t think. And when they do, it isn’t very often or deep. They wanted to say something, but they didn’t stop to think about what they were saying, just typed what was in their brain. At the very least, their English isn’t very good. I want to give them credit for intelligence and the attempt, so I read and re-read this several times, thought about it for a day or two, and just didn’t know what to do with it. What can you do? Think, folks. As this person sort of says, “think it through.” Think before you comment. If you are having trouble getting your thoughts together, then type it out in your word processor or text editor. Look at it. At least spell check it. Ask yourself, “Is this what I really want to say?” If it is, great. I’ll take it. If it isn’t, fix it. Don’t spend hours writing up every comment you make, but if you are going to comment, say something intelligent. Say something that makes us think nice thoughts about you, or at least let us assume you 1) know of which you speak, 2) are intelligent, and 3) wish to contribute to the conversation with your intelligence. This scores low on the “say and write something intelligent scale” but I have no idea what this person is asking. Do you? What more information do they want? I can write about anything for DAYS and still not meet this person’s needs. I’m thrilled that they are making a project on “this,” whatever “this” is, but I don’t know because I have no information. What experiment is this person talking about? Do they think what I wrote is about an experiment? Or do they want me to participate in an experiment? How can I help if I have no information? Ask intelligent, well-thought out questions. Don’t expect me or anyone else to read your mind unless we are in the business of mind reading. We need to know what you are talking about, what you need, and how we can specifically help you. I love helping people. I love answering questions. Don’t you? So it frustrates me no end that I have to waste their time and my precious comment space to ask them what they are talking about, and they may never answer. So it sits there, rotting away online, useless words, waiting for a response that may never come. Along with asking intelligent questions is the issue of asking things I can answer. Don’t ask on this blog if I can help you repair your car. While it is actually likely that I might know the answer, this isn’t a blog about auto repair. I don’t want to answer it, and my readers don’t want to know the answer to your auto repair issues on a post about designing a WordPress Theme. I’m not a doctor, I’m not a rocket scientist. I’m not a political writer. I’m not a expert on stamps, coins, or even people. I do my little thing on this corner of the web and I do it well. Ask me about what I do, not what I don’t do. I’ve written one post, as a joke, about the Guinness World Book of Records. Blogging was still new and I wanted to get people thinking about what kinds of world records for blogs we should come up with. Silliness. After numerous comments requesting I send them a copy of the book, enter them in the competition for the World Book of Records, ask me if they qualify to be in the book, and brag about their own records, I had to put a note at the top of the page directing people to the Guinness World Book of Records site. It didn’t stop them. It’s the first line in the post. They don’t see it, I guess. I deleted most of the unrelated comments, just to save space, after responding to them over and over and over again that I was not affiliated with the Guinness World Book of Records and that I have no idea how it works, or how to get listed. Clueless. If you don’t know what I do, look around. How far do you have to look on this blog before you see the words “WordPress” and “blogging” in several obvious places? Most well-designed blogs and websites leave pretty obvious clues on what they are talking about. Pay attention. In both of the above examples, you see the use of abbreviations and misspellings. The occasional misspelled word is something easily missed and completely acceptable. We all do that. But writing in poor English, when it is your native language, and using leet speak (1337) or abbreviations for “you” and “for” only showcase your lack of attention, youth, and poor communication skills. It isn’t funny. It isn’t even cute. If you want an intelligent response to your comment, write intelligently. Use complete sentences. I’m not talking about informal, silly, among friends, little writing bits in the comments. I’m talking about posting comments on well-written, educational, and informational blogs. Make your comment match the level of writing of the blog itself if you want a little respect. Along with decent grammar and intelligent writing, have some intelligence when writing on a public blog in a public web place, where the whole world can see it. DO NOT LEAVE YOUR EMAIL ADDRESS IN THE COMMENT. If you want a response via private email, just enter it in the form but not in the comment itself so the world can see it. DO NOT PUT YOUR PHONE NUMBER OR ADDRESS IN THE COMMENT. DO NOT PUT PERSONAL AND PRIVATE INFORMATION IN YOUR COMMENT. Personally, I will edit it out. 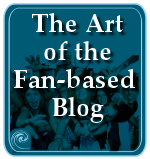 Show a little intelligence and familiarity with the public forum that is a blog. If you want the whole world to know your business, fine. Do it on your own blog. I won’t allow it here. The interactive nature of blogs is one of the most exciting aspects of blogging. I want to know what you have to say. I want your input. I need your thoughts, feelings, attitudes, and information. You inspire my writing. You tell me what you want me to blog about. You ask me questions and answer others, and help future visitors learn more about the subject. Comments are learning tools. You learn from me. I learn from you. Visitors learn from both of us. It’s amazing and exciting. Make your comments add to the conversation. Don’t just chime in because you want to see your name published on the web. Contribute. Give. Share. Exchange. Keep the story going. Keep the ideas flowing. Help us help each other by continuing the dialog. Your comments on this blog, and many others, are published with your name and blog URL on them, if you include them. When people click your name, they visit your blog. Your comments are little representatives of you and your blog. Make every comment you make to be a mini resume or sales pitch to encourage people to click and visit. Make sure there is something on your blog that makes their visit worthwhile and makes them want to hang around and read more. And since your URL will take people away from my blog, make sure your comment and blog reflects well on me. By leaving your comment on my blog, in a very round-about way, I’m speaking well of you. 😉 Consider it a mini-letter of recommendation. So if every comment you make links back to you, shouldn’t it speak well of you? Update: I wrote this in 2006 and it continues to be in the top most popular posts on this site. Many educators are using this post in their training and educational material on blogging, social media, and web publishing, and I’m honored. The phrase “A comment is a mini resume” struck a cord and I’ve seen it all over the web today, first said here, another honor. No matter how often I look at this post to update it, it still holds up. It’s honestly and silliness clicks. Thank you to everyone’s support, referral links, citations, and mentions of this article. It is sincerely appreciated, and I hope you all comment better because of it. Thanks! 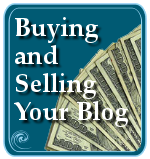 This entry was written by Lorelle VanFossen and posted on August 7, 2006 at 2:39 am and filed under blogging tips, Writing. Bookmark the permalink. Follow any comments here with the RSS feed for this post. Post a comment or leave a trackback: Trackback URL. Nicely put Lorelle, i expect that the post was as beneficial in a therapeutic “get it off your chest” manner for you as it was educational for the rest of us ! One thing I dislike about comments or using the contact form when I do receive them is that the commenter has obviously disregarded what I’ve written in regards to not receiving any technical related questions or requests. I’ve made it in bold and in red font and yet I still get them. That shows to me that they disrespect what I have clearly asked especially when I have provided links to places where they can get help and as I’ve mentioned, they don’t get the response and go straight to the trash. I don’t like doing it but I do have a limited amount of time for things during the day. The other type of comment are those who just outright tell me that I don’t know what I’m talking about and say nasty things. How likely would anyone assume that they will get a response? In my case, since I moderate all comments, I simply delete them if they aren’t even trying to be courteous about their opinion or provide something that I can constructively reply back to. Commenting a post is akin to raising your hand at the end of a public lecture to ask something to the speaker or make a point. As everyone is listening (and looking) it had better be good. Funnily enough, I get red in the cheeks and my heart beats faster when I hit the ‘submit comment’ button, just as if I was actually raising my hand. In fact, I’d make a general plea for basic good manners in commenting and in responding to comments. It never hurts to say thank you to someone who’s said something helpful. (Thank you Lorelle for this post!) A blog host can set the tone for what they expect from readers simply by using good manners when they respond to comments. For that reason, it’s important to acknowledge visitors in a welcoming way by saying something about their contribution to the conversation. A new reader then understands they’re entering into a room full of friendly people who are having a decent, intelligent conversation. When a discussion gets touchy, a blog host, like the host of a cocktail party where people have had a bit too much, has a responsibility to moderate the conversation they’ve initiated — I love it when I see a blog host modeling civil behavior in the comments section and encouraging his or her readers to see how much they share and to be respecdtful when they disagree with each other or when things start to get a little heated. And it never, ever hurts to apologize if you’ve made a mistake and to rectify any error you might have made either in commenting or in responding to comments. Wait a minute. Are you calling my blog a cocktail party? I kinda like that. Well described! This reminded me of an online group I used to belong to… It basically was a comment exchange group and every so many days you were sent three people’s urls to comment on… and your URL was sent to three other people in the group. It was a neat idea, except for one thing… A good portion of the commenters in the system were terrible commenters and wrote comments completely devoid of any inkling of intelligence… I liked commenting on other people’s sites but it stunk to be recieving such terrible comments. Well said Lorelle. Each time i get a true comment (not spam) i get a little excited. The thought that someone took a few moments of their precious time to write a message to me makes me feel good. 1. The blog owner helps set the tone for the type of comments he gets. If he writes intelligent, thoughtful posts that really have something worthwhile to discuss, most of the time the comments are of like kind. Alternatively, if the main article is poorly written or about very trivial items, the comments reflect that. And if the main post is unnecessarily argumentative (it’s just a rant without good factual backup), the comments are often of a very mean-spirited nature. 2. I’ll add one more rule about what comments should have: pertinence to the topic under discussion. I’ve seen quite a few comments that didn’t seem related to the original post or other comments at all, or discussed things that only a small group of commentators were privy to, leaving me scratching my head. I’ve generally ignored/deleted comment spam that seems like spam. And a few cases I’ve allowed it, and I thought they did it for spams purpose… but they said something that related, I just edited the URL. Most cases I don’t bother going to a commenters site, unless they said some insightful or something that made me want to go to their site. I was wondering what your opinion was about deleting comments? I am of the opinion that comments stay positive and negative. But what about the useless comments like the one you used in your initial example? I have deleted comments of this nature and I felt a tad guilty, I think the delete was valid though. These type of comments degrade the quality of your blog in my opinion. Any thoughts? What you choose to do with the comments on your blog is up to you. Each blog type and blogger needs to set their own policy. I have one policy for this blog, which is fairly strict, and a loose policy on another blog, and a different policy on another blog of mine. To help you decide how you want to frame your own comment policy, check out Comments on Comments and Mean Spirited Comments and Blogging. I feel very reluctant to delete comments, even if they don’t make a lot of sense. I like to write my replies to them in a constructed, intelligent manner, and it usually scares away the idiots. Anything that’s blatantly spam has to go, however. I’m not generating traffic for someone else’s completely unrelated site. Even stuff on *cough* 9/11 conspiracy theories *cough*. A good way to tell which comments are spam is whether the poster left their email address and a link to a website. When I see a name that isn’t a link, I don’t bother reading the comment. If someone doesn’t have the guts to leave contact details, they obviously don’t care what you think about that comment, aren’t controbuting to the conversation, and aren’t planning on coming back. Just a few thoughts, anyway. I really enjoyed this post, some great tips for those new to this kind of thing. Keep up the good work! I totally love this post. Thank you for highlighting that whilst it is all well and good to talk with “Ebonics” and “txt spk” when conversing on instant messenging programs (even though I can’t stand it myself), it is not the way forward when exposing your thoughts to such a public community! Plus, I can hardly understand them half the time and it leaves me thinking the commenter is illiterate! Harsh I know, so apologies fi I’ve offended anyone. I am blogrolling you. Hope you are ok with it. Hi Lorelle. I also came here via WordPress.com home page. You provide very good and helpful information about comments. I will definitely keep this in mind the next time I comment on someone’s blog. Hello Lorelle, I saw this on WordPress’s top recent posts and I think this a very beneficial article in general. I will be linking to it as well excerpting it on my blog, unless you don’t like that, but I’m not sure why you wouldn’t. Thanks a bunch! Thanks all. As for the 9-11 comments that got in, that was comment spam that slipped through while I slept. I gotta sleep sometime, right? Which just goes to prove that you are reading the comments as well as the post. My mother loves watching the John Steward show, so I found some old episodes via p2p and an interview with Oprah. We watched it together and Steward raved about Oprah’s audience. First, how she had spoiled talk show audiences forever by giving them everything all the time, and second, how they are some of the best dressed, seemingly most intelligent, and well-behaved audiences in the talk show industry. Well, without a doubt, I think that may be true because of what Oprah represents as well as what she does. No matter how you feel about her, she deserves and demands respect. She’s earned it. I’d like to think that my audience gives me what I deserve as I give them what they deserve and ask for, and that I spoil them by giving them what they want. I truly believe, and write accordingly, that my audience is awesome and intelligent. Blogging is about creating a persona, a personality. People feel like they know you. You attract to you what you deserve. I recently wrote about how those on your blogroll are reflections of you and your blog as you have established a relationship with them, so they should speak well of you. Your comments should speak well of you, too, which is what you and your writing deserve. A valuable post, Lorelle, as most are! An observation: At times, I have felt that you are SO well informed and catering to such a wide audience (including professional bloggers and recreational bloggers) that I hold back on commenting out of concern for wasting your time and that of your better informed audience. (I am a recreational blogger.) Although I am a little apprehensive at any site that caters to a well-informed audience, I find the apprehension a good thing, as it fuels my desire to be accurate and succinct in my comments. 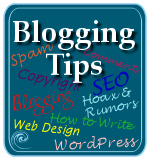 Because your site caters to both audiences, I err on the side of caution and mentally categorize it as a professional blogging tips site. Bottom line… I thoroughly enjoy your blog and find it very informative. Keep up the good work!! Thank you for doing what you do so well. Holding back commenting is never a good idea. When my students and clients say “I have what is probably a stupid question” I answer back that there are no stupid questions, only stupid people who don’t ask questions. I honestly believe that. My audience covers everyone from beginners to professionals, all seeking to up their game with blogging, web writing, web publishing, and WordPress. Fear not, my friend. If you dig through the comments on my site, you will find that many people are at all levels, seeking to understand how to do this better. But you bring up a good point. First, you make assumptions about my audience and whether or not you should comment. Really? Why not focus only on the content and respond as the content moves, not your assumptions about who is reading it? I find it most informative and invigorating to hear from novice bloggers as they keep me on my toes, as you have over time. LOL! I’m not accusing. I just want you to consider this perspective and get past it. Your comments are always welcome because I know you are NOT a stupid person. Questions, a different perspective, a comment that expands upon the conversation, all are welcome by myself and all the bloggers out there. We live for interaction, so be one of the interactive and help make the blogging world a great place to play. I know you are doing that already and thanks so much for all you contribute. You are doing great things. Thanks, Lorelle, for your thoughtful response. I look forward to reading more of your helpful blog posts and yes, will even make it a point to comment every now and again. I feel this post of yours needs to be read by every blogger and commenter. You have really taken pains in analysing and putting each point across in a simple yet effective manner. I loved those examples! Some time back, I had written a post on ‘Commenting’ (not as good as yours though). Request you to visit it whenever time permits. Please don’t think I am promoting my blog. This is a wonderful blog I missed all these days. just for the sake of being polite, i would ignore a comment that was not thought of. but it gives me the feeling that what i wrote is useless. a comment is a reader’s/commenter’s ID, it speaks about how s/he thinks and regards things written in a blog. I get a lot of spam comments, most of it about shower chairs. Not very often I get a “real” comment so I really couldn’t identify with this blog entry, but I still enjoyed it. I guess as my blog grows, and my readers I will start to get those annoying comments. How I will cherish the day when I get a comment that uses “4” as the word for and “u” as you. As a new blogger and reader of blogs, this was a great post. I am finding this blog to be a wonderful source of information on the etiquette of blogging, how to think about having a blog, and wordpress.com. Thank you for your work. Contrariwise just pointed me to an interesting set of Complete Blog Commenting Guidelines by Happy Catholic that are worth a read. Thanks! I too get a lot of irrelevant posts like people asking me to cancel their BSNL account, merely because I have written a post about them. However in some cases it is heart-rendering to see and not be able to answer many of such comments. I receive lots of comments on my stem cell blog asking about where they can find stem cell treatment for certain diseases in a certain country or information about certain organizations. I try my best to answer them but often I cannot due to lack of time and resources. Despite the fact that they should understand that it is not the write place to ask, I realize and feel their desperation in trying to find a solution. Not many people who use the web are web savvy. Yet their needs are real. To add to your list one things I don’t particularly like ar cross-comments – When people comment about a different post on your blog. I think this is an excellent post. I was referred by ProBlogger (as have many, no doubt). I totally agree that people need to think hard about what they’re going to say, and say something wise. Also, bloggers need to leave opportunities for readers to say something and start a conversation. I’m sometimes very torn on what to do with the comments on my sites. On the one hand, half of them are illiterate, belligerent and/or content-free. On the other hand, they do sometimes lead to discussions, which even if they are among illiterate, belligerent people, add to the value of the page. Sometimes I get leads on news and rumours from them that I wouldn’t otherwise get at all. I’m having difficulty establishing a set of rules, even for myself, on what I should leave there, and what I should delete. Thanks for such an interesting and thoughtful perspective on comments. I always knew that when I added my thoughts I might be garnering hits, but your point on thinking of comments as mini resumes is very true. How many of us take a look at a comment and become interested in the person who wrote the pithy, interesting, banal, laughable, or whatever comment. I will keep your thoughts in mind with future comments (So they will either become better comments or I will be so worried that I will end up in a straight jacket yelling about mini resumes. Either way it may be an improvement!) Thanks. On Myspace, where you can leave comments on either profiles and/or blogs, I used to be fairly open and relaxed about who left what. Now, however, what used to be intelligent debate and discussion now became personal attack. Now I block users who I know are hateful and prevent people from contacting me directly if they know not of me personally. To comment with backup and with diginity is one thing, to flat out attack others is immature (and amateur, lol) and worthy to be deleted. 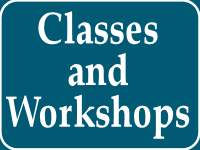 I recall receiving requests from students who need help on their projects (http://clair.pinoyweb.net/?p=235). I actually still do. (And it’s terribly annoying.) I guess there are a lot of bloggers who also experience this. Well, I hope that they would start reading your blog and learn from you so that when they all over the blogosphere they could compose better comments. simple way to cut and paste from my computer files like on Blogger.com? Shanti marie and I’m doing a painting a day Blog. Kinda difficult to get it going without the painting…http://shantimarie.wordpress.com/ As you can see for yourself…no painting. Any suggestions… I also plan to write too and of course make comments about the paintings and other topics of interest to me. I noticed your Blog said you liked to be helpful and also that you gave instuctions for putting comments on blogs. I hope this isn’t too moronic. But lately computer technical things have been going over my head, I paint alot and maybe I need to get online more. Any advise would be good. Welcome to WordPress.com. I’m sure your paintings will have a nice home here. We are a very friendly place and you should find some great comrades in painting here via the Art, Painting, and Drawing tags on WordPress.com. A good guide to help you learn how to do all your posting on a WordPress.com blog is found at What Do I Do With My New WordPress.com Blog, including adding photographs. It is very simple to add thumbnail images which link to full size images, very helpful for art and photography blogs. An aspect you may not be familiar with is categories. Categories are tags and help to categorize your artwork and help others find it through the category tags. The above article discusses that, too. You have captured well both the good and bad of the comment section. I enjoy the commenting aspect of blogging simply because I love to have an intelligent dialog with people (especially people that I may have never otherwise encountered). Being able to get my thoughts down in words is great but there is something about that feedback aspect that makes it even better. Just wanted to comment on how much I enjoy reading your posts. Thanks! Sometimes I think the easiest way to fight comment spam is to remove the commenting feature at all. And you then don’t have a blog, you have a website. Comments are a very critical part of what makes a blog a blog. And why give into the comment spammers when it is SO EASY to block comment spam? new to blogging. I only knew you wrote on a blog and that was about it. I am REALLY kind of not savvy at all about the whole thing. was particularly of interest to me. A community of bloggers having conversations about all that is written.. It is lovely and I find now a great way to injest lots of new ideas and points of view. Thanks again! One thing that I love from others and try to do myself is using a real name. On a site like wordpress.com I don’t have the option of what name I use (the name I sign posts with is the same I sign comments with), but on an independently hosted blog I will always sign with first and last name. In response to your 5th point, I am a little bit uncertain of that issue. I understand how, in a social way, allowing my comment with a link to my site is a way of letting me promote myself. At the same time, though, this blog is using rel=nofollow, the equivalent of a Google vote of no-confidence. I normally wouldn’t comment on a post this old, but I felt compelled to weigh in just a little. 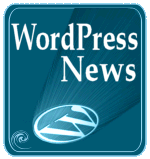 With a WordPress.com blog, you can log out and comment with any name you want on any blog on WordPress.com. If you are logged in, that’s another matter, as you said. As for the “point 5” issue of your comment being a resume, it has nothing to do with the nofollow issue, which is a search engine issue. It happens behind the scenes with web crawlers. If someone likes what you have to say, impressed with your words and presentation, then they will click and visit your site. That is what makes your comment your mini-resume, inviting others to follow your wisdom. If your wisdom in your comment reflects the wisdom on your blog, the chances are you’ve just created a repeat visitor, the most important kind. You might have known this sought of post would attract comedians, commenting exactly what you’re just advised not to! 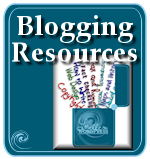 You’re on my blogroll, a truly top resource for WP. This was amusing and in some ways I agree that it is overall good advice. I doubt that very many people who could benefit from reading it did read it. So, this rather begs the question. The piece looks like slightly trollish behavior. You insult a few daft commenters. Sure, it appears that they started it but were you fanning the fire? Having not followed you for very long, I can’t tell whether or not “They don’t think. And when they do…” under the heading “Say Something Intelligent” is intentional and thus hilariously brilliant. If so, I commend you and request that you pass that information on to me so that I feel motivated to study you in considerably more depth. If not…oh well. Things like that do happen. It’s just a blog. What’s this with judging a blogger’s intent being difficult? It is totally easy. I do it all the time. Judging accurately is nigh on impossible though and I try to avoid accidentally doing impossible things. Anyway, I do think you’re funny in a non-weird way. So, I’ll keep reading your stuff. (By the way, there is one kind of comment that has no content that is in my not so humble opinion quite nice: a comment just to let you know who the heck is reading your stuff — I sometimes feel curious about that). The main problem I’ve found is getting people to comment at all. I’m sure most of the hits to blogs are people searching for something, and the blog looks interesting, but is not quite what they wanted, so they hit the back button. I have to say most of the comments that hit my site are spam, and they immediately get swept away by askimet. However, the few comments that people have left, have been useful or just plain unusual way of thinking about the subject. Nicely put. These are my exact thoughts on not so intelligent Internet users. I made a post on my blog about these users and coined a term for it called ‘The Dumb Internet’. Basically the Internet needs a stupiditity test of some sort to weed out the illiterately challenged ones. i really beleive most people will thing the same thing. but it is not that easy ; anyway not everything is black and white. Isn’t it ? Why are comments so important for you? If there are good comments, read them if not simply delete them and forget about them. Hi, My name is John, I often visit your web site, and I think that you are talented person. Thanks for this extremely insightful post, as well as your very helpful website. I have been thinking about starting my own blog using WordPress, and have been spending a considerable amount of time in the planning phase. Although many sites suggest that it is easy–just download and start writing–I believe that like any project, a little planning goes a long way. I believe I have valuable, worthwhile things to say, but if I don’t plan my blog appropriately, the messages won’t be well-delivered. On a separate note, I particularly like the creative style you used in writing your “About” page. What i really hate most about comments is that. It’s too far from what I have posted. Seems to be they just comment just to comment. Well hell yeah! I erase them of course hahaha. I put captchas on my comment blog just to make sure there are no spam posting on my comment. If they will not comment on my post well fine then. I don’t force people to comment haha. I read the comment in item 1 several times and thought the person probably had a ‘brain blip’ – they try to say something clever and fail to make any kind of sense. “Think it through”, then “Re-read it again an extra time” are wise advice to anyone writing. I think we get too hasty to publish, then it all goes wrong. Funnily enough the comment on item 2 I do understand. the issue here is that it comes from someone who does not use English as a first language, my guess is that they were Indian. That said the parson may be better off looking to a more specialist web-site for assistance. Generally I am impressed by the number of comments left here, probably Darren’s article on 31 days to a better blog probably helped. I have tried to get a good level of comments on my page but have thus far failed. Maybe I am focusing on a small market sector, but I am receiving well over 300 hits per day. I am looking for discussion, but I guess many of my readers are looking at my latest articles, reading then going on. Hi– this is a very good article. Thanks. I’m a new blogger (my blogsite is 30 days young today – is that relatively new?). Blogging is great, who knew! So far, I have had mostly friends and supporters of my work (I am a writer and poet, now blogger ahem), posting their comments. I am thinking that perhaps being overly x.x.x, babe, darling, lovey – makes your blog come across as cliquey, which may be off putting to browsers and people who find you through tags etc. I am noticing that there is a particular etiquette and standard in the communication aspects of the blog world. By the way, I am one of the participant’s of Darren’s 30 days program in blogging. Hi Lorelle, i came to your blog through the “31 day challenge” and firstly i’d like to thank you for the help you are offering. During the challenge, among other things our tutor has urged us to use that links that open another page over the one we are reading and i noticed , following the links to Duke Desrochers blog that i couldn’t come directly back to your’s. Do you prefer this as a blogger? If you are taking Darren’s 31 day blogging course, he would not advise opening links in a new tab/window. It isn’t a preference. It’s the law. It is against Web Standards for Accessibility to have links that open in a window differently than the one you are viewing. If you don’t know how to use your back button or history, learn how. It seems that the challenge just encoraged me to add links within the blog and it was another blogger that advised me to insert target=”_blank” code to do this so that the window could then be closed without closing the blog. I wouldn’t like to break the law so i assume your advice is to disable this possibility? I think I was pretty clear. Don’t use this on a blog. It will hurt you. In many ways, and make your readers very angry. I know I’m furious when I click a link and see nothing happen, then click again and again, then give up. Later, I find I just opened 10 tabs at the end of my tab queue. Useless and frustrating. Don’t do it. Hi Lorelle, me again, sorry that i seem to be annoying you but maybe although you are being clear i am not understanding you clearly. I don’t think i am talking about opening tabs, though i am obviously new at this and learning and maybe i need to tighten up on the jargon. Then again, when you write “when I click a link and see nothing happen” i think you are talking about something different because If you click on a link that i am trying to describe something happens in front of your eyes and there is no way you would see nothing. An example, to be clear, on my current blog post, you can click on advent calendar and something happens. Hi Lorelle, liking this informative post. Something occurred to me on the point about the legality of links opening in new tabs or windows. Are webmail programs like Yahoo and social network Facebook exempt from this law? Links within these programs (e.g. in messages on facebook) automatically open in new window. It is so with Safari and Firefox. @Esther: The laws vary from country to country. It is bad form and against web standards to “spam links” without warning. 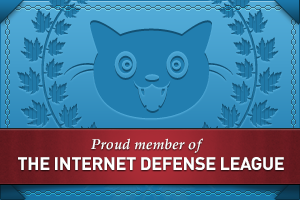 Yes, sites that do that are risking lawsuits. There have been quite a few in recent years against websites that fail to meet web standards for accessibility, including a $6 million suit against Target. The few simple things you can do to make your website accessible is very important, so do them now, not later. Hi Lorelle, thanks once again for taking the time to help. In my original comment (no 78) i used the phrase “open another page over the one we are reading “. I reply you pointed out that i was breaking the law of Web Standard Accessibility and invited me to learn how to use my back button and/pr history. Now, when you say “If a click on a page loads in the screen you are viewing, life is good.” it seems that we are on the same subject and i no longer need to fear the pounding feet of Standards Police at my door. So back to my original question – do you, as a blogger or reader of blogs, prefer not to click on a page which loads in the screen you are viewing? – as this is clearly a choice that can be added to the design. What chance do we have of establishing accepted legality on web standards when communication is so difficult? Should the web be standardized or is its annoying diversity one of its strengths? 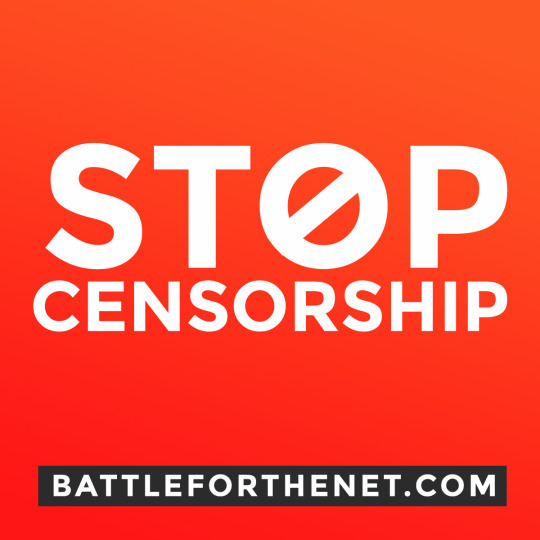 As a blogger, reader of blogs, and one of the ones who helped develop and defend web standards, I’m repeating myself. The web is standardized and we must have standard conventions in terms and policies. As I’ve said, if a link opens within the page you are viewing, this is right. If the link opens another window, tab, or whatever that moves the reader’s eye and interest away from the page without warning, this is wrong. In web jargon, these used to be called link spawning. Honestly, it is that simple. There is no preference. That is the standard practice and, in my countries, the law. Let the visitor choose how and where they want to view a linked page. If they want to open it in a new window, let them choose, don’t force it upon them. I don’t know what you are trying to do or figure out, but it is that simple. Don’t do it. For so many more reasons than I have had time to say. I understand Lorelle that your time is precious so please don’t feel a need to reply to this comment. In fact i am sorry i took so much of your time . I am also sorry that i have been unable to express my intention. Simply, i had spent time working on my blog adding links within my blog that open within the page one is viewing (which when you close leave you on the page you are viewing) and when i visited your blog and followed your links i saw your blog operated differently. I asked a question about your design choice and then you then it seemed that you accused me of breaking web standards, and after several comments back and forth it became apparent that we were talking about different things. Seems that you got upset that i was doing something that i wasn’t but that you thought i was and would and i got upset that you thought that i would do something that i wasn’t and wouldn’t. So in the end the world is still turning. Why do you keep telling me “Don’t do it” , when i’m not? I love it when people read emotion into comments when there is none. I’m glad they you have figured things out and I’m thrilled that you are creating links in line with web standards. That is most important to me. Good luck with your blog and thank you for helping myself and the future readers who will visit the conversation, whom I write to when I respond to a comment, not necessarily directly to you, understand the issues better. I think you have raised a really important point there. Sometimes people DO read emotion when none is intended and the converse, don’t read emotion when it IS intended. Emoticons are used, punctuation shortcuts too but are there other blog/standard/useful ways that you use or know? I just wanted to weigh in on one other possible interpretation of poorly-written comments. I’d put even odds on this comment coming from a non-native English speaker. With a blog, you have the ability to project your voice far beyond your ordinary circle of influence. I’ve noticed that my own site gets visitors from almost every continent (except Asia, for some reason). A non-native speaker may not have the time or resources to obtain a good translation. If your blogging service allows you to view the IP address of a comment, plug that into a geo-location site. On the other hand, if that comment came from a native-born US citizen, then I agree that there’s a problem. I have made several notes from this post. I think I leave pretty ok comments on blogs but I am lazy with reply’s in forums. And the stats show so. These tips will definitely help me to improve. Thank you. Especially important is the mini-resume idea, I can’t afford to have lame posts about the forums. I receive lots of comments and since I cannot answer all of them I just use a program I found to autopost answers. However in some cases it is heart-rendering to see and not be able to answer many of such comments. I’m sorry you resorted to such an unnecessary method. Clearly these are spam comments and not legitimate, and your autopost answer legitimizes them. I do hope you will remove such a problem and use Akismet to deal with unwanted comment spam. this is an excellent post. These guidelines seem so easy, but there are still people who either don’t want to get it – or aren’t capable of getting it. I often have a hard time figuring out which of these two reasons applies. I don’t want to insult anyone who simply can’t do better (they should have the right to express their opinions themselves, even if they are “simple-minded” or dyslexic, right?) – but on the other hand, I don’t want to make it too easy for those who just don’t WANT to think. These “c’mon u kno wut i mean” people are so incredibly annoying, at least to me. Finally: I hope suggestions count as “something intelligent”. I’ve spotted a small (meaning-related, not grammatical or orthographic) mistake I’d like to point out – if you’re okay with it. Your subheadings don’t really match the title. The title is “How NOT to Comment on Comments”, so I expect the subheadings to be negative points I should avoid. My first reaction to your first subheading was: “Wait, I’m not supposed to write something intelligent?” This was, of course, before I read the main body – but that’s what (sub)headings are for: Give a structure to the reader and make him familiar with the topic even before detailed information comes up. Now I’m confused. You commented brilliantly, then what, dismiss the comment and my post by dating it? Totally confused. This is a timeless article. The points it made in 2006 are even more important today as more and more people flood the web unwittingly. I do hope it helped but I’m not sure what you are apologizing for. This brings up a very good question, one that I’ve been trying to address for years. If a post is dated beyond what you feel is the expiration date, does that dismiss the value of the post and your justification for commenting? I might add that to my blog exercises, so thank you for making me think about this again. You succeeded in making my point. The best content makes people thing, and the best commenters are those who think things through before they comment. That is why I worded things the way I did. You thought and your intelligence came through. The whole point. The headings (proper name for what you are calling subeadings) are very carefully worded, as is the title. Glad you noticed. Thank you! A tutorial on how not to comment on blogs! I expect it was as therapeutic to the author as it was helpful for the rest of us and i only hope the people concerned actually read the post!